DHP student Riley Tilson introduced twenty-five students from three Dufferin secondary schools, CDDHS, ODSS, and Westside, who presented their digital research and stories of Dufferin Veterans from the wars of the 20th century and the Northwest Rebellion to over 100 in attendance. Special guests included author and historian Blake Heathcoat, Tony Balch 2014 Dufferin County Honoured Veteran, CPL John McMurray 2013 Dufferin County Honoured Veteran, and CPL William (Bill) Power 2015 Dufferin County Honoured Veteran. Guest speakers included MP David Tilson, Darren White Mayor of Melancthon and Chair of the Museum Board, CDDHS Principal Pat Hamilton, History and Math teachers and DHP leads Neil Orford and Asher Kirk-Elleker, Veteran Tony Balch, and DCMA Education Programmer Julie MacDonald. The first of its kind in Canada, the success of the project, which partners students with museum staff for a full term of digital historical research, has resulted in approval by the Upper Grand School Board for a relaunch of the program next February. Seventeen grade 11 history/math students from the three Dufferin high schools spent a full semester in an intensive research experience in digital literacy inside and outside of the classroom. Students were given the opportunity to work with the National Library and Archives in Ottawa, the University of Guelph, the Juno Beach Centre and the Archives of Ontario as well as DCMA. Teachers include Neil Orford and Asher Kirk-Elleker at ODSS along with museum staff and archivists. 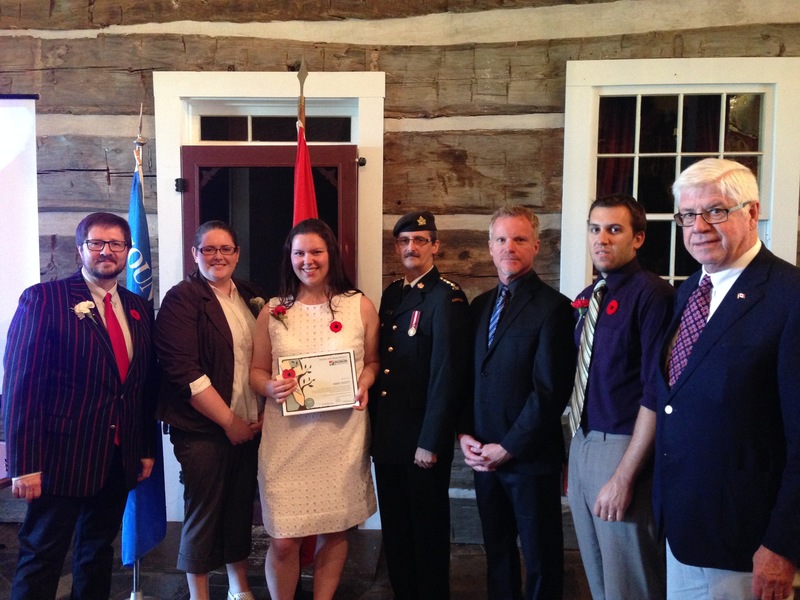 In attendance at the DHP convocation at Dufferin County Museum June 24th: Neil Orford – CDDHS History Teacher; Julie MacDonald – DCMA Education programmer; Abby Scott – Class Valedictorian; Darren White – Mayor of Melancthon; Darrell Keenie – DCMA General Manager; Asher Kirk-Elleker – ODSS Math Teacher; David Tilson – MP Dufferin/Caledon.